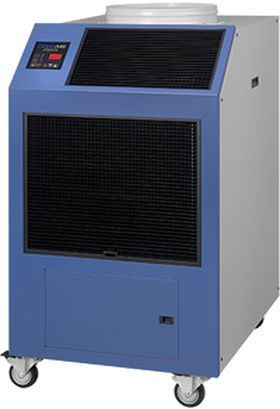 Portable air-cooled heat pumps are designed for permanent or temporary spot cooling or heating applications. Cool It Now uses Oceanaire's 20ACH units which are constructed of premium sheet metal and equipped with heavy-duty casters for mobility. Oceanaire's 20ACH is a portable air conditioning unit that can provide emergency heat and emergency cooling capabilities. This unit offers the utmost in commercial and industrial heating and cooling power and efficiency. Whether you're up against the coldest winter or hottest summer, the 20ACH is an American made emergency heat and cooling unit that will deliver - year after year.